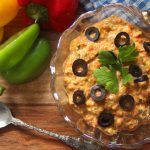 Roasted Bell Pepper Dip - Headbanger's Kitchen - Keto All The Way! 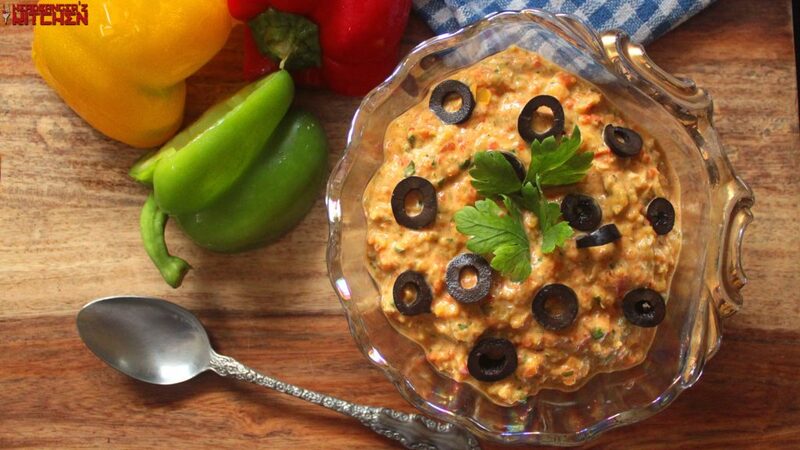 It’s time for another vegetarian keto recipe and today I’m making THAT roasted bell pepper dip that I used on my almond flour waffles. Unlike the blue cheese dip from my chicken wings episode which I never made and forgot the recipe for I’ve made sure I got this down and I’m sharing it with you today. You can easily just pop the peppers in the oven and roast them like I did. However I do have another method that will blow the flavour right out the water. Roast the peppers on an open flame using an Indian papad jali and be amazed at the flavour. 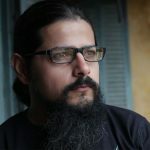 I used this technique for my baba ganoush recipe. Cut the bell peppers in half and remove all the seeds. Blend the peppers, tahini, garlic, parsley, olives, paprika, chilly flakes in a blender and season to taste. Garnish with some chopped olives and parsley.